In 2008, after watching news about the ground-breaking ceremony for the Four River Development Project of the Ven. 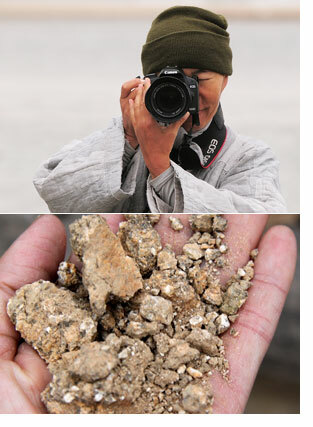 Jiyul left his temple in a mountain and captured the destruction of the rivers on camera. Contrary to the candy-coated catchphrases such as prevention of flood damage, an improvement in water qualities and economic development, what he saw was a ruined country. Following Sand River is grasping people’s attention as the first theatrically released film about the Four River Development Project. The film details how Naeseongcheon lost its innate value and beauty due to the construction of Yeongju Dam upstream. The film was shot, edited and directed by Ven. Jiyul who has overseen the river since the start of the construction work. This film makes us reflect on our lives which have drifted farther from nature. Naeseongcheon is a river with the most developed sandy bottom in Korea. The river supplies sand to the mainstream of the Nakdong River. Following Sand River investigates the problems of the river development project via Naeseongcheon whose bottom is piled with pebbles after its sand was moved away to the mainstream of the Nakdong River. “We have not paid attention to the energy that sand carries nor listened to the voices of the life of the river,” said the Buddhist monk. “While we treat nature violently, our children lose their natural playgrounds and learn of our nonchalant violence against the river.” Ven. Jiyul’s message in this documentary guides audiences to ways towards deep soul-searching about our lives, nature and the environment.